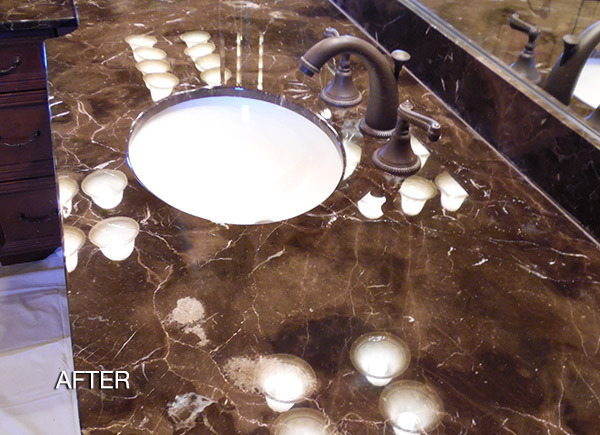 This brown emperador marble vanity in Nashville, TN was damaged when a cleaning service used an acidic cleaning solution. Notice the white marks all over the countertop. This is called etching, a chemical reaction that takes place between the calcium in the stone and acids. One could run a finger across the surface and feel a rough texture. We honed the countertop to remove a very thin upper layer of the stone, virtually erasing the damage and restoring a silky smooth surface. 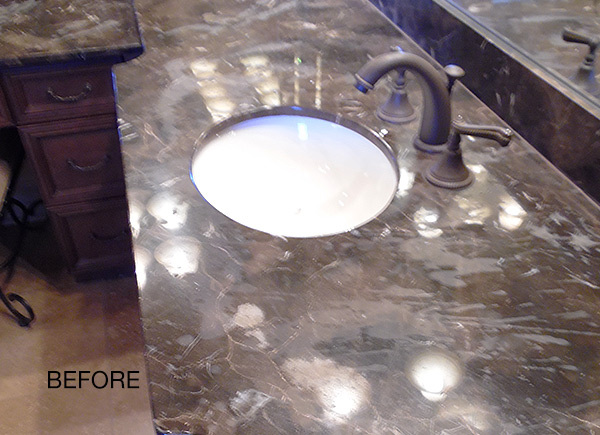 Then we polished the marble to a high-gloss shine to give this bathroom countertop a brand new look. The overhead lights are crystal clear in the reflection.